It’s that time of year! Music you get tired of hearing in every mall. Rushing to meals all over town (or the country). And, of course, big smiles when presents are presented and opened. Now, you surely think that we think that a bike trailer is the best possible gift for the cyclist (or soon-to-be-cyclist) in your family. And you’d be right! But let’s say that you want to present someone with an awesome child bike trailer for Christmas? What should you be looking for? It goes without saying that you are transporting your (or someone else’s) most precious cargo. You need to be certain that the child bike trailer is as safe as possible. Is the frame strong? Does it have study harnesses to secure the child or children? Does it prevent tiny fingers from finding their way into the spokes of the wheels? 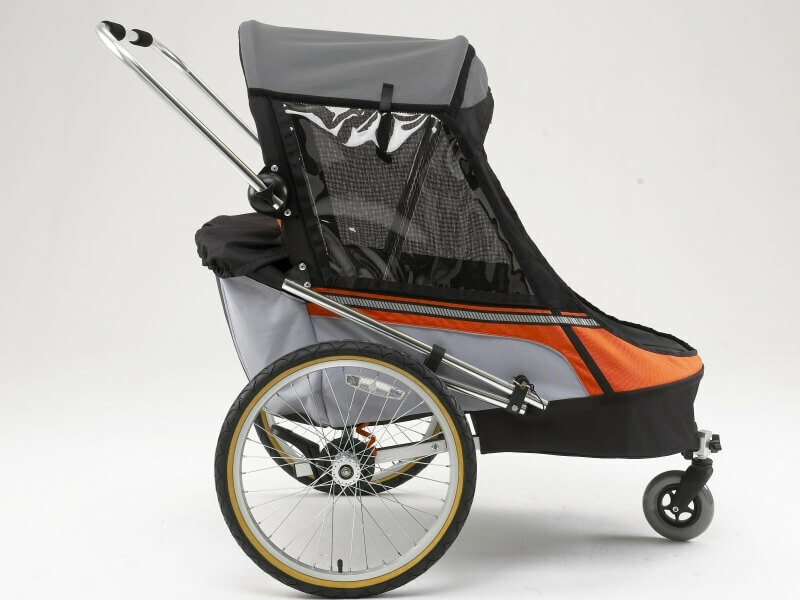 All of these should be primary considerations when selecting a child bike trailer. No matter which way you slice it, bike trailers are definitely a somewhat large piece of gear. So how inconvenient will it really be when you are transporting it or setting it up? Some bike trailers look awesome on paper but take an instruction manual to get them apart and into your car. Do your research and choose something you’re not going to hate in two weeks because it take 10 minutes to get on the road. Some thing just aren’t meant to be multipurpose. The bike trailer is not one of them. You’ll likely be in a lot of different situations if you’re going to haul kids around in a child bike trailer. You’re athletic so you might be a runner. You probably live in town so you’ll need a stroller. You might live in a rainy area so you’ll need a good cover. 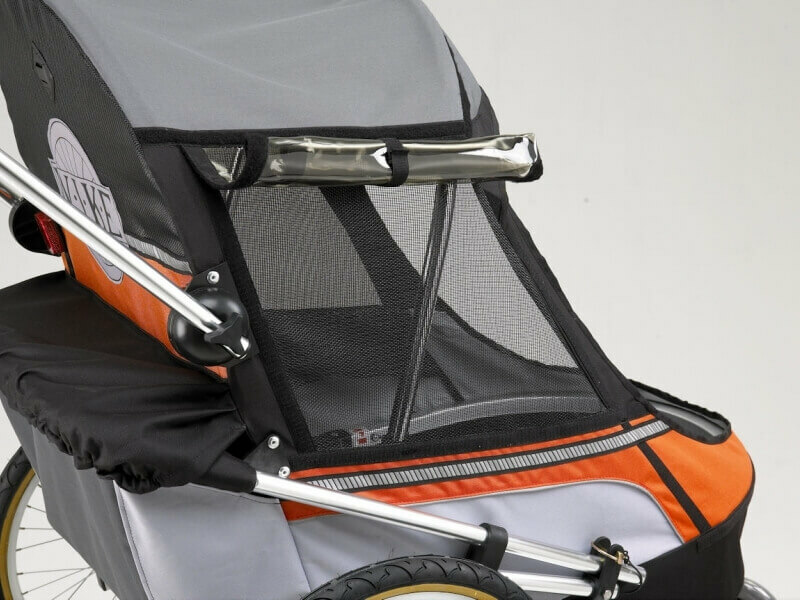 Check out the accessories for your child bike trailer and make sure you’ve got what you need to turn your bike trailer into a go-anywhere, do-anything part of your bike experience. After all, who needs three things with wheels to haul one kid around when you can get away with just one? Any parent will tell you that kids usually come with a bunch of stuff. Even the greenest, most anti-consumerist among us will likely have a stack of books made from recycled toilet paper and a pile of wooden toys made from reclaimed wood. And while you may enjoy riding for an hour to the grocery store and back (and we most definitely thank you and love you for it), junior may get tired of sitting still for so long. But if he’s got lots of pockets to stash his books and toys (and food, of course) then things will go that much smoother. But do us a favour and maybe skip the DVD player or tablet at least once in awhile? Sure you’re a minimalist but who doesn’t need an extra pair of clothes if your dearest gets a little queasy behind you? Make sure you’ve got some storage space in the trailer for diapers, clothes, and, of course, food. You’re on your own with the elements are the engine of the train but your little one shouldn’t have to suffer like you may have to. Is the seat comfy? Can the trailer be sealed up when the weather gets nasty? Can it open up with the sun is shining? It doesn’t sound like much now but comfort will make a world of difference to your little one. There you have it. Give a child bike trailer for Christmas. But be sure to do your research first.